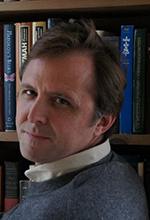 Dr. Stephen Blackwell's research has centered on the interrelations of literature and science, especially as embodied in the novels of Vladimir Nabokov (1899-1977). Nabokov as representative of a kind of knowledge of the world's workings. He is also interested in the literature of Gogol, Tolstoy, and the Russian Silver Age.